The pace will be picking up a bit for the next few pages. 2 pages a week for the next 2 weeks at least. Lots of action going on that would work best if viewed in quick succession. Oh and someone gets stabbed in the next page! 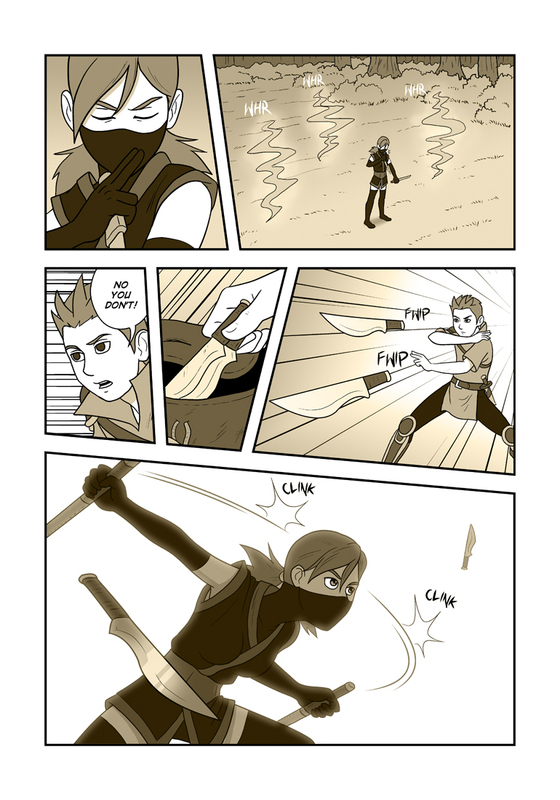 Oooh she's not such a silly little ninja anymore. Girl's got some moves! And she's just gettin warmed up. Uh, oh! She's blocking thrown blades! Oh yeah, you can get away with almost anything if you have a ninja do it. Yeah, I was worried about that. Maybe the daggers looked too similar. Now, you’re talking my language.